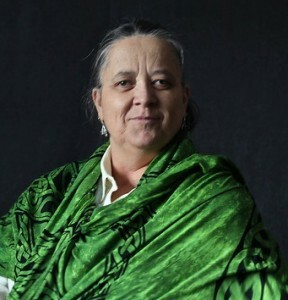 Melva Gifford is an author of science fiction and fantasy and also children's books. She is also an avid blogger. The blog should serve multiple objectives, chief of which is to share an author’s opinion about various topics. It can also draw readers to your fiction, nonfiction and create new fodder for future manuscripts. I wanted to accomplish additional goals simultaneously with my own web site: www.MelvaGifford.com. I write nonfiction as well as fiction, so I thought if I had three of my five weekly blogs touch upon topics similar my nonfiction material I could match the readers of my blogs to be potential readers of future nonfiction books. Here are three specific examples. These examples are geared to draw people to my web site and to provide new and relevant information to them as readers. Object Lessons and other teaching techniques are discussed on Mondays. When I see or learn of other teacher's successful teaching steps, I share my observations. Some of which are memorable Sunday school sessions, humor, youth camps, object lessons or lectures. Some of these ideas are gained through the observation of some excellent teachers and many object lessons I created myself. Mondays often cover object lessons with religious themes which may be useful to youth ministries, family devotionals, family counselors and family home evenings. I previously wrote a book titled: I Know You THINK This is a Toaster, promoting family values through object lessons. In that book I created 600 object lessons. Now, once a week, I create additional lessons on new topics separate from the book. Eventually, I hope to transfer my new material into an additional book. 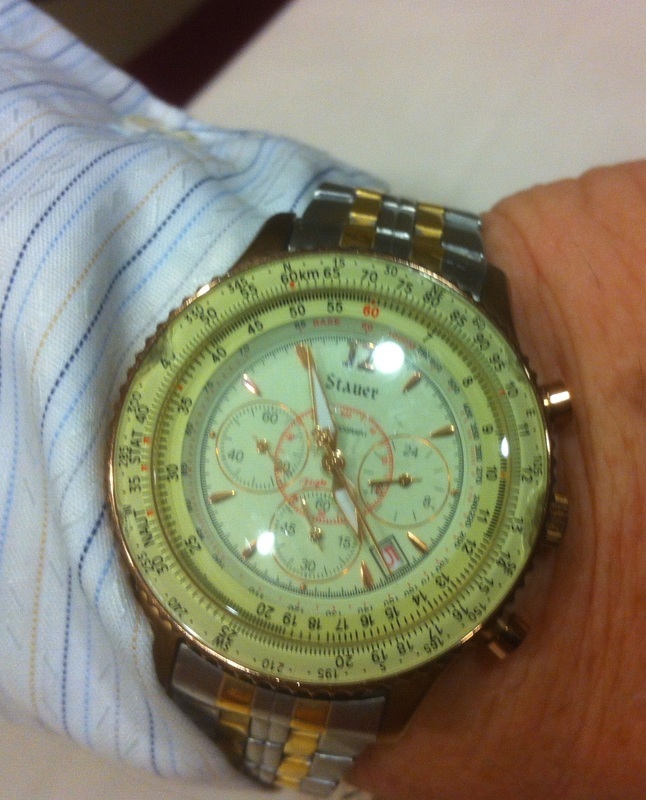 I have readers come visit my Monday blog every week to see what the new topic is. Sometimes people may tell me what works and what doesn't. Or they may provide the suggestion of their own. The advantage is that we can learn from each other how to become better teachers, on religious or nonreligious nature. TUESDAY: TASKS, ERRANDS AND PROJECTS -- OH MY! I make up lists and many people do the same. On Tuesday blogs I come up with a topic to create a list about or tell an idea of something that has helped me organize my life. For example, one list is on international travel. The reader is encouraged to remember that other counties use a different voltage for their electric equipment than what we use in the USA. USA citizens may need an adapter for their electronic equipment when traveling outside the US. There might be a checklist of buying a coat, what to look for when buying running shoes or a clothes washer, etc.. Eventually, the content of these blogs may become a nonfiction book called the book of lists. For those readers who read my blog on Tuesdays, they may become interested customers of my future, book. We may each choose different techniques to become better spellers. Many people use memorization, which is a wonderful skill. I often try to use visual images or mnemonics to improve my spelling. So each Thursday I touch upon new word and provide a visual image to help me remember the correct spelling of that word. 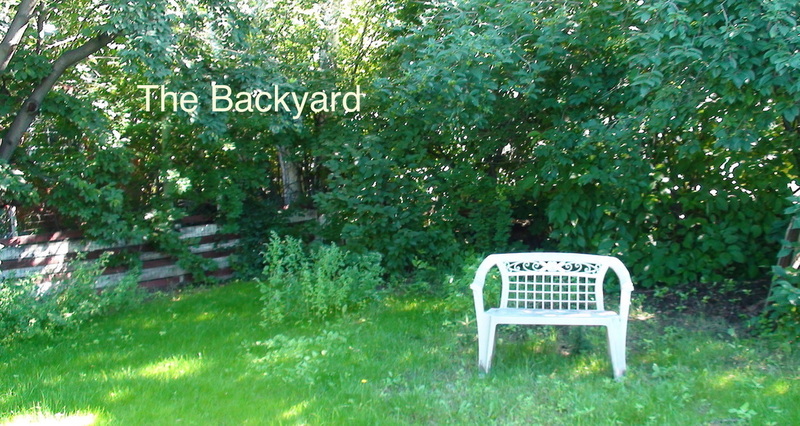 The content of these blogs may also eventually become a nonfiction book. The advantage of this is that I create new material each week that may be a blog now and put in a book later. I watch the stats of hits on my blogs to see which would be of interest as a potential book. 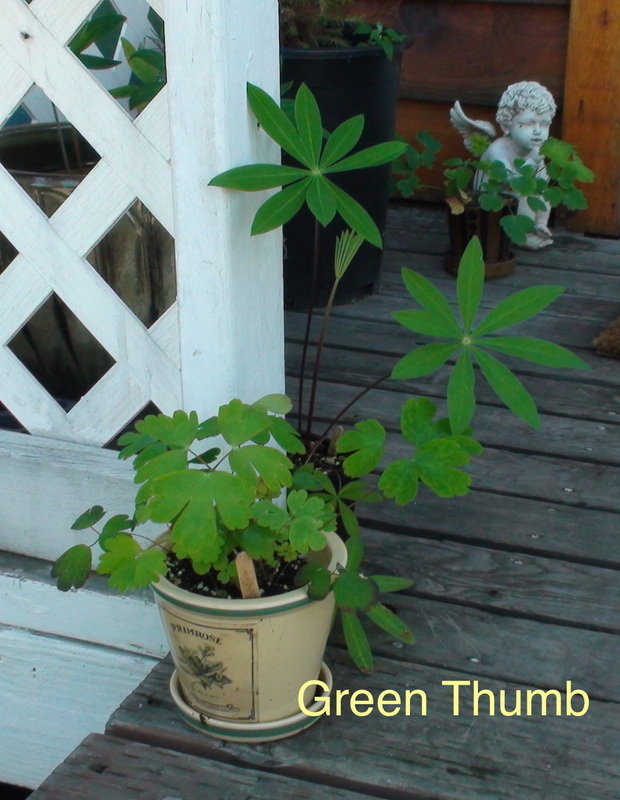 If the visitor to my blog likes the contents within, there is a good chance he or she will also like the books. www.MelvaGifford.com has also had a wonderful chance to host guest bloggers who contribute their own expertise to a different topic. You may see some of those guest bloggers in various pages of my blogs. If you’re interested in contributing any of my five weekly blogs as a guest blogger, please contact me at Melva@MelvaGifford.com. If you are a writer, or voracious reader, you may have more passions outside of writing/reading in the genre that you currently concentrate on. If some of your passions touch upon specific nonfiction material or if you do, various researches to help embellish your world building, then that specific research may be a great topic for blog. The readers of your books may share a similar passion. This is just one idea to help you build a readership to you as a blogger, author, and dispenser of knowledge. Thomas is obsessed with his military video game WASP. He dreams of being a Special Ops soldier. But pretend becomes real when he moves to the cold of Alaska. Valuable equipment is being stolen from a military base. The base, family and country are in danger. Thomas and Jake must employ all their skills of game playing to catch the culprits’ behinds the thefts. They don’t have to look very far to find the key suspect at their very own school. Mike doesn’t like attention. Let his best friend have all of it. But for his tenth birthday, he has more than enough attention with an unpredictable birthday shirt. Strange things are happening that involve him, his entire class and perhaps the world. Every attempt to make things better only makes it worse, turning Mike’s school field trip into chaos. A list of objects lessons which I feel are useful in teaching family and Christian themes. My intent is that this book would be helpful in Sunday school, family devotionals, youth camps, family counseling and family home evenings. If you’re interested in my storytelling gigs, please contact me directly. 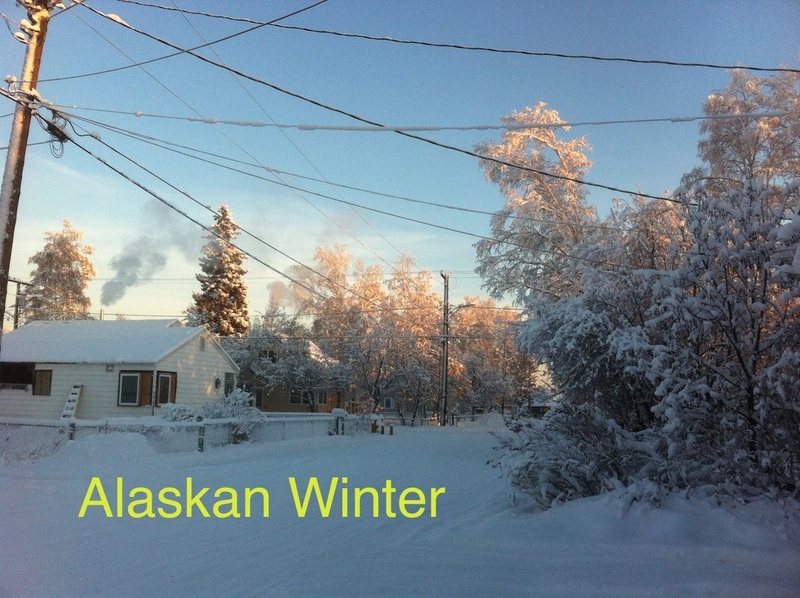 I live in Fairbanks, Alaska, about 190 miles south of the Arctic Circle. 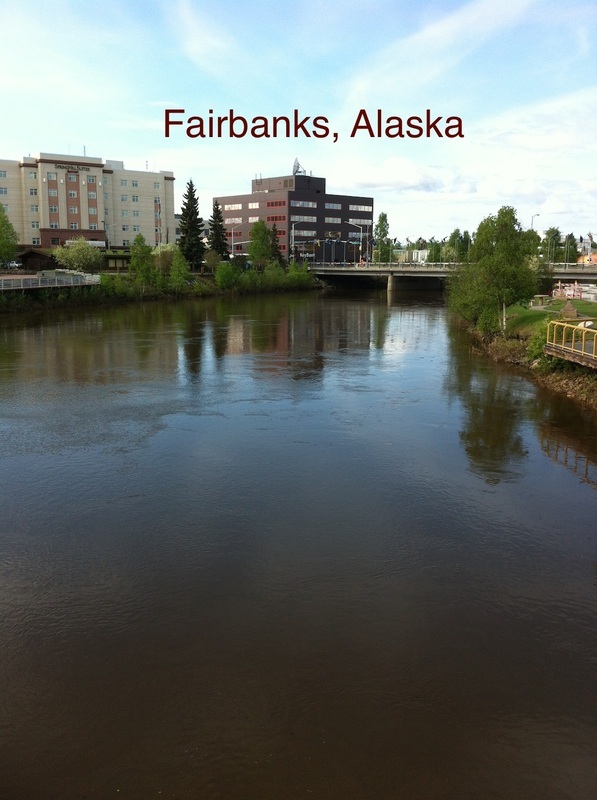 Fairbanks is the 2nd largest city in Alaska (with 31,500 people). There's a university, an Air Force base and a gold mine near here. It can get down to -50 F below in the winter (-45 C), though it's usually only about -25 F (-31 C). In the winter, we have maybe 4 to 5 hours of daylight. 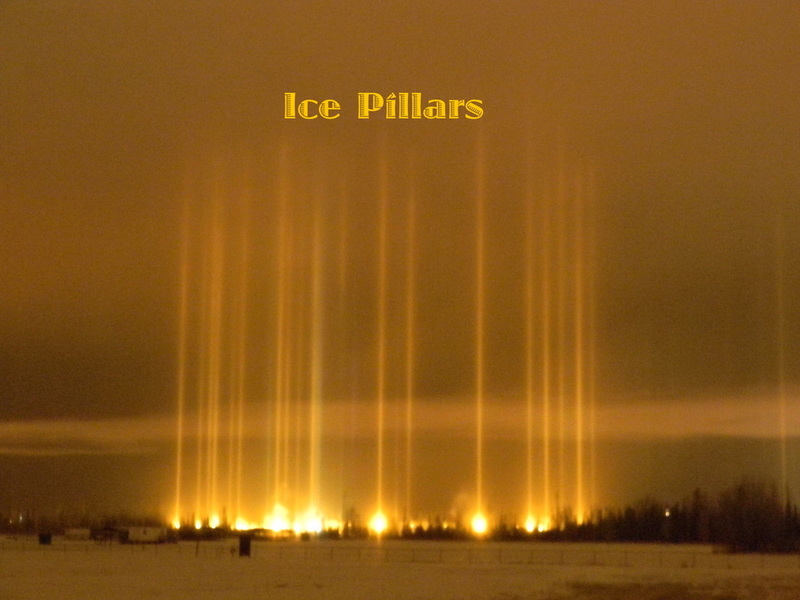 When it's real cold and the fog comes out, you can get ice fog pillars. They look like the Northern Lights, but they're not. The fog turns to crystals in the air and makes the lights on the ground look like pillars. 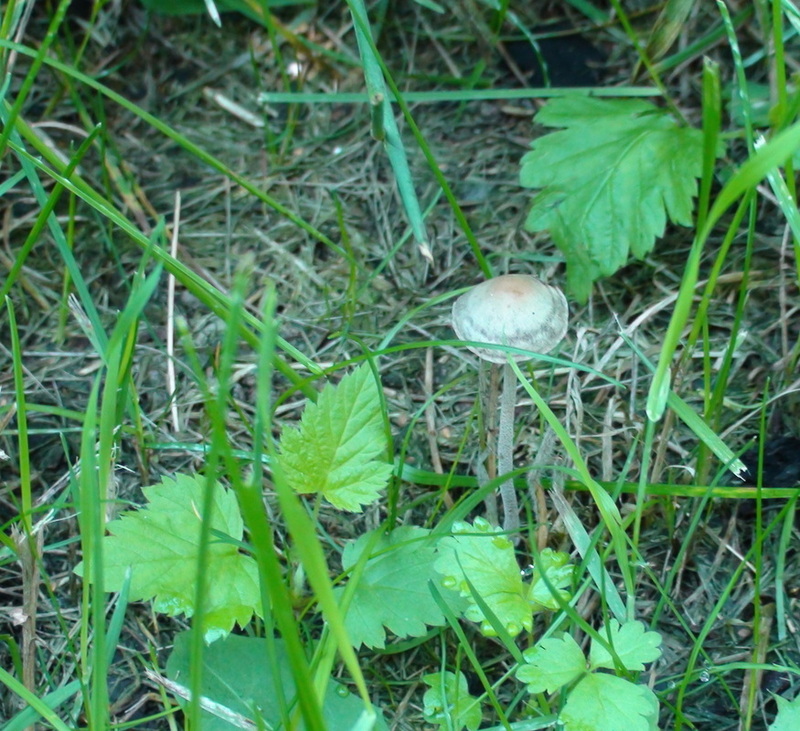 The weather in the summer is rainy but warm, between 55 F (13 C) and about 75 F (29 C), on a hot day. 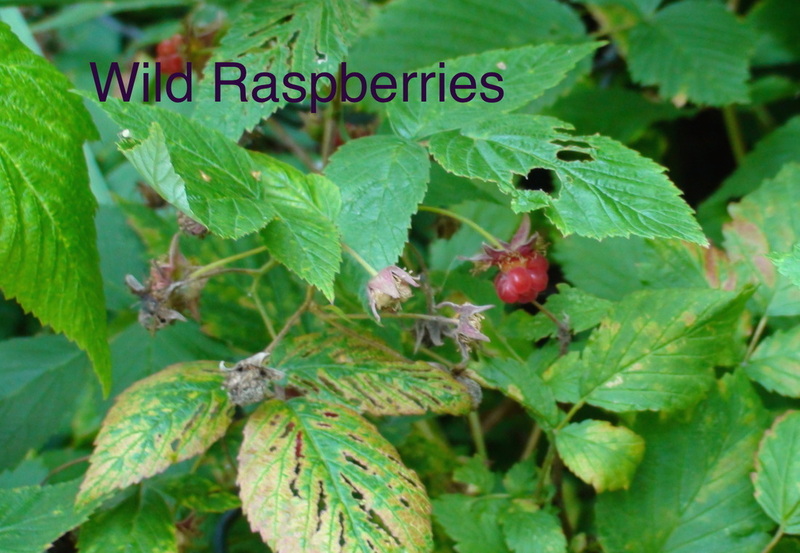 Raspberries grow wild in the backyard. For transportation, we have a 2004 Scion XB (original model! ), which gives great gas milage! 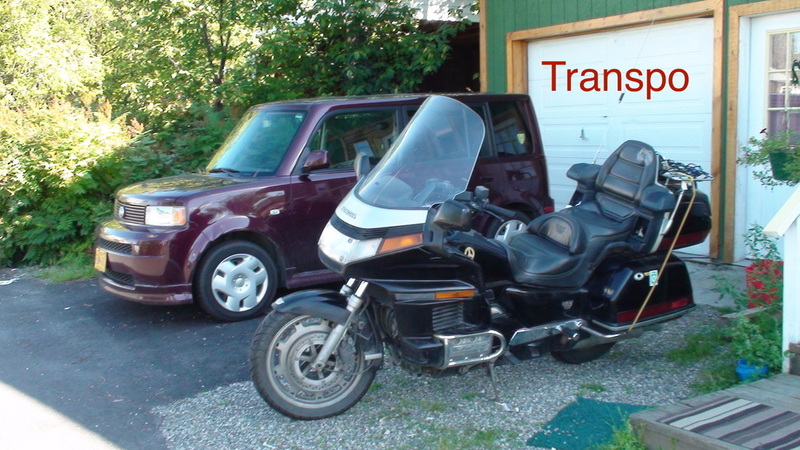 And also a 1994 Honda Goldwing motorcycle—that's my husband's baby. I ride on the back. 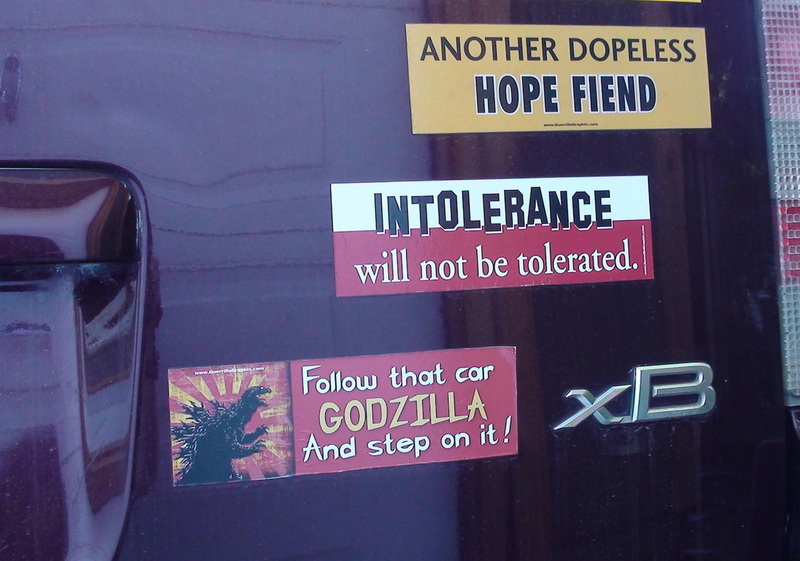 Follow that car Godzilla—and step on it! 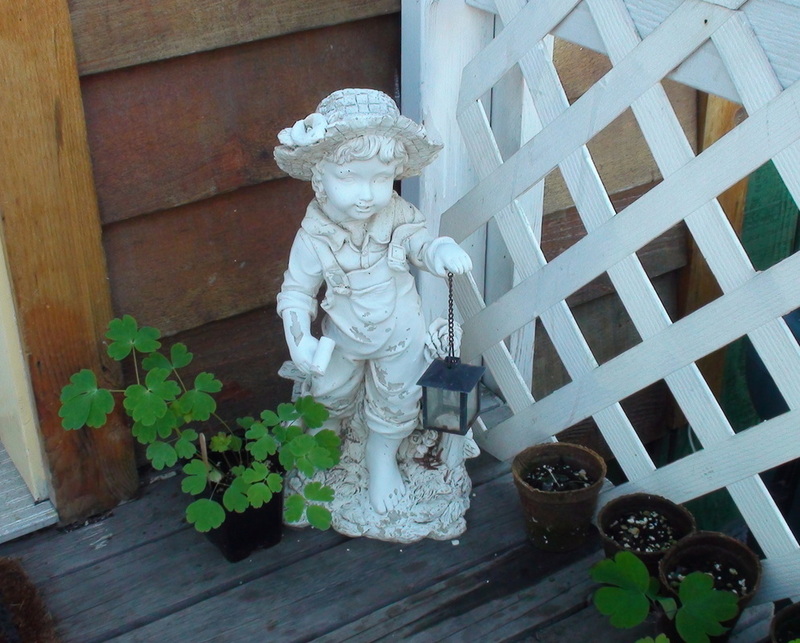 I do not have a green thumb, but I've managed to keep some plants alive on our porch. I work with autistic elementary school kids and they planted some flowers in the spring. 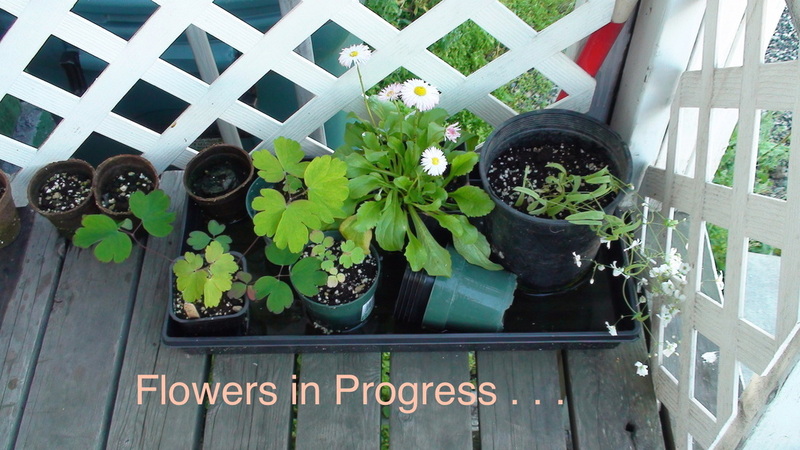 I took the extras home and have been nurturing them all summer. On a nice summer day, if it's not too rainy, I go for a walk or bike ride along the mighty Chena River which goes through the center of town. 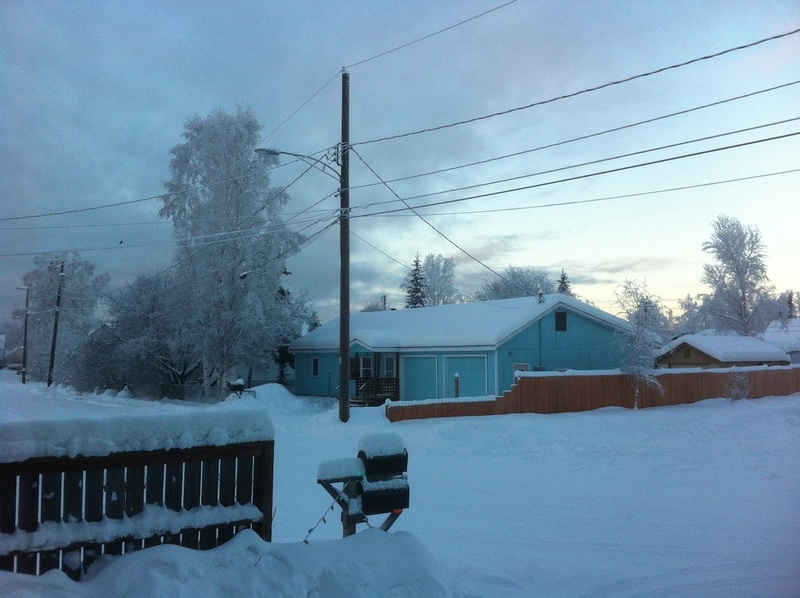 And that's the view outside my Alaskan window! 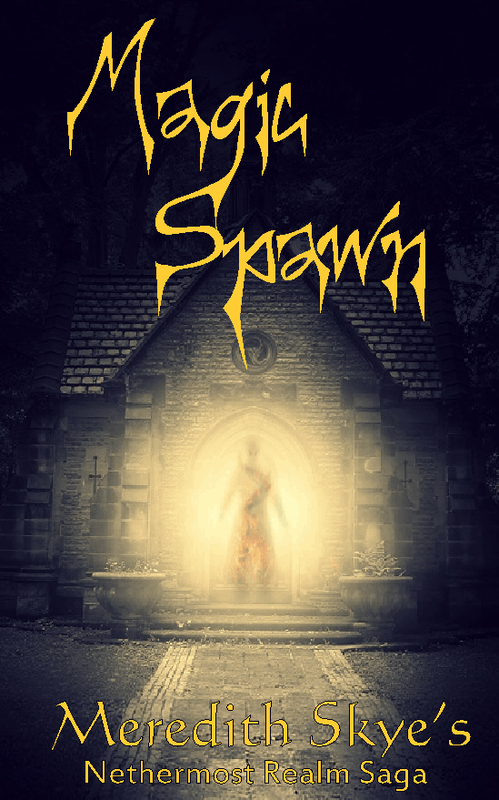 is my first published novel. It is available on Amazon in Kindle and paperback format. Natives of Garran rekindle a war against an advanced alien culture that conquered them long ago, the Chanden. Violence breaks out on both sides. The Garrans seek to restore their link to the old earth gods by finding an ancient godstone. The one who bonds with it may gain the power to wield the elements against the invaders, but in doing so, that person may lose his, or her, own identity--but they'll risk anything to gain their freedom. Unknown to the natives, a Chanden has infiltrated their quest. What will happen if an alien bonds with the godstone instead? 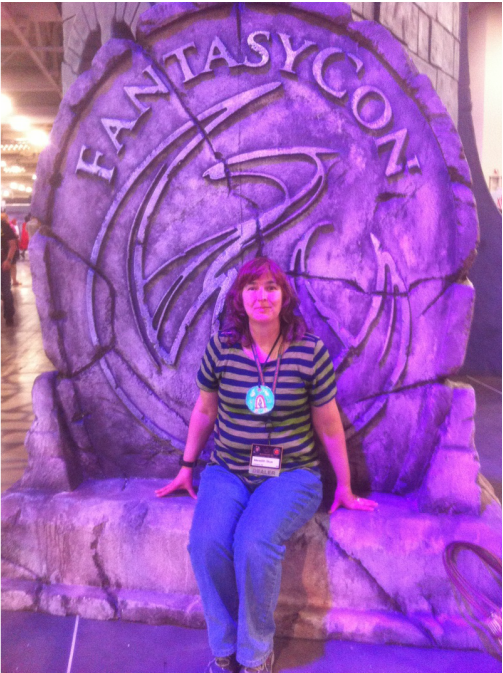 My trip to SLC Westercon/Fantasycon! I went to Westercon in Salt Lake City, Utah, on July 3rd through July 6th. 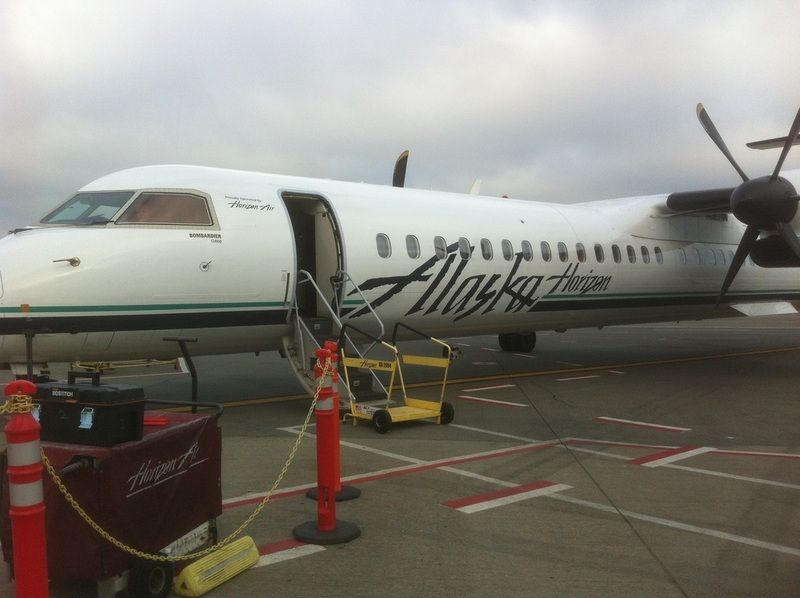 I flew from Fairbanks via Portland to Salt Lake City. 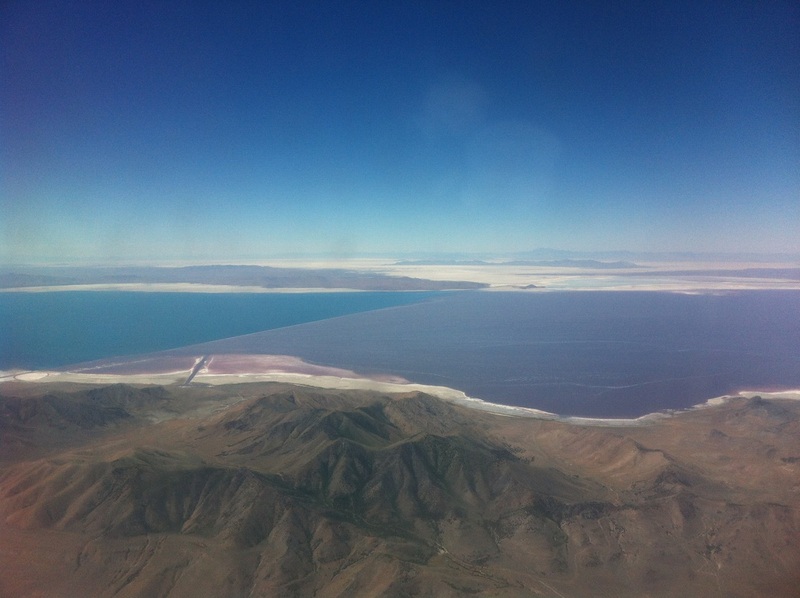 The Great Salt Lake from the air. I've always wondered just what they are doing down there! Westercon was held at the Marriott Hotel in downtown Salt Lake City. Meredith at her Gods of Garran reading. 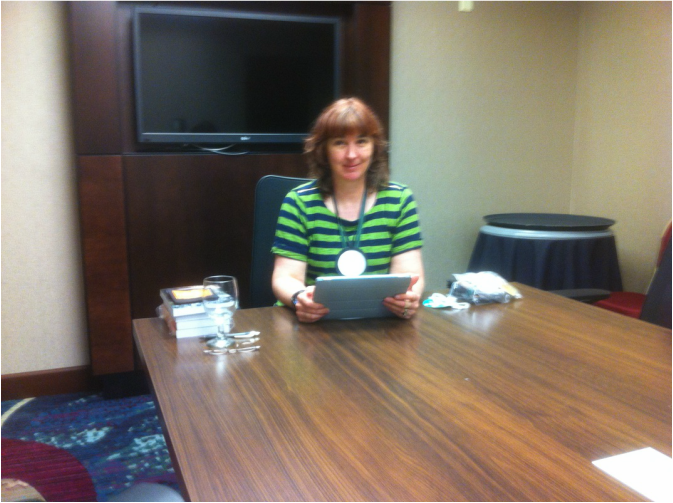 I had a reading for my "Gods of Garran" book on the first day of the con. Several people attended. 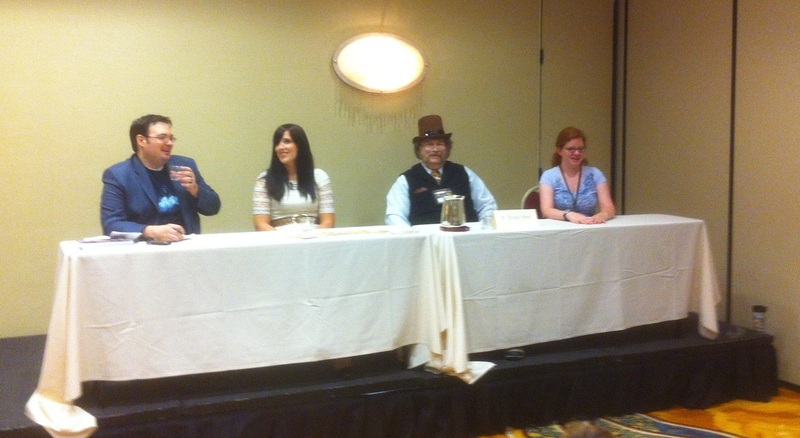 Panel with my friend Brook West, also writer Rene Collins and writer Branden Sanderson. 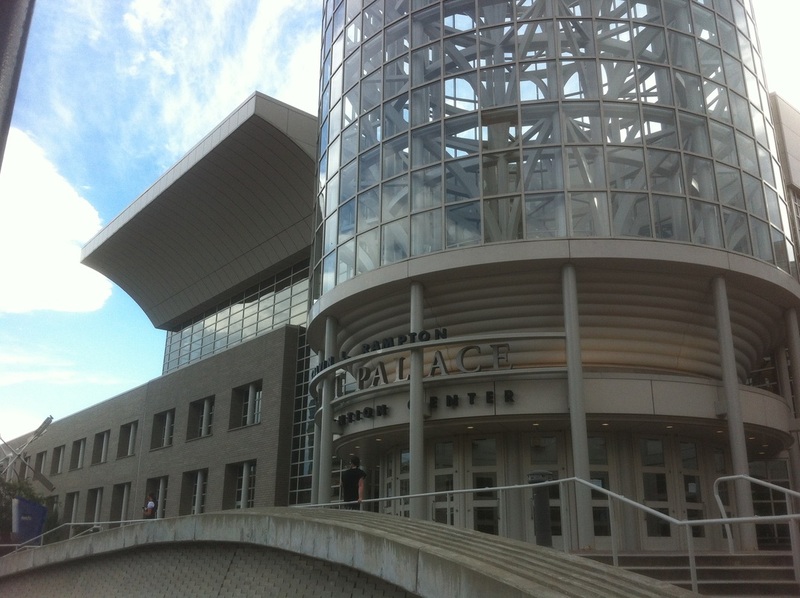 And then there was Fantasycon--the competing con across the street in the Salt Palace. 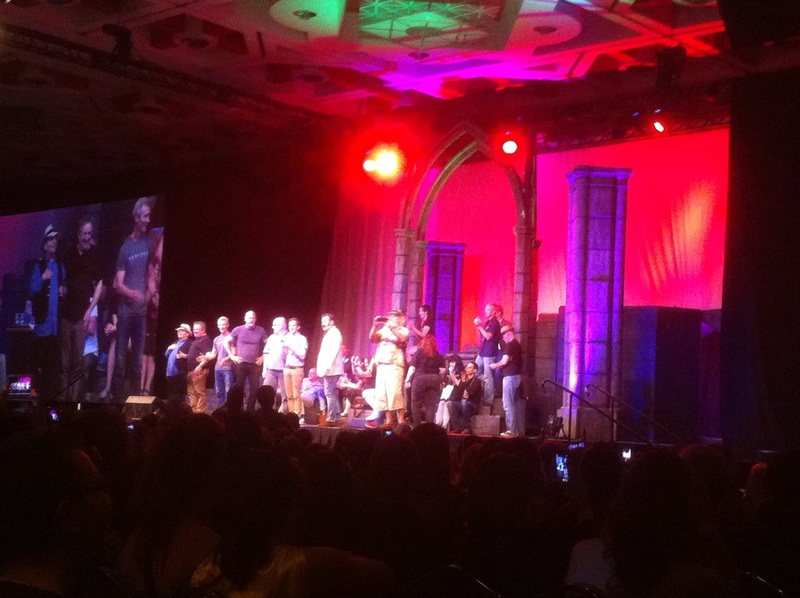 I geeked out a bit because they had a lot of the cast of the Lord of the Rings and some from The Hobbit at Fantasycon. It was amazing! They had Sean Astin (Sam), Billy Boyd (Pippin), John Rhys Davies (Gimli), Sylvester McCoy (Radaghast & Dr. Who), Graham McTavish (Dwalin), and half the dwarves from the Hobbit. There was also Summer Glau (from Firefly), and many others. 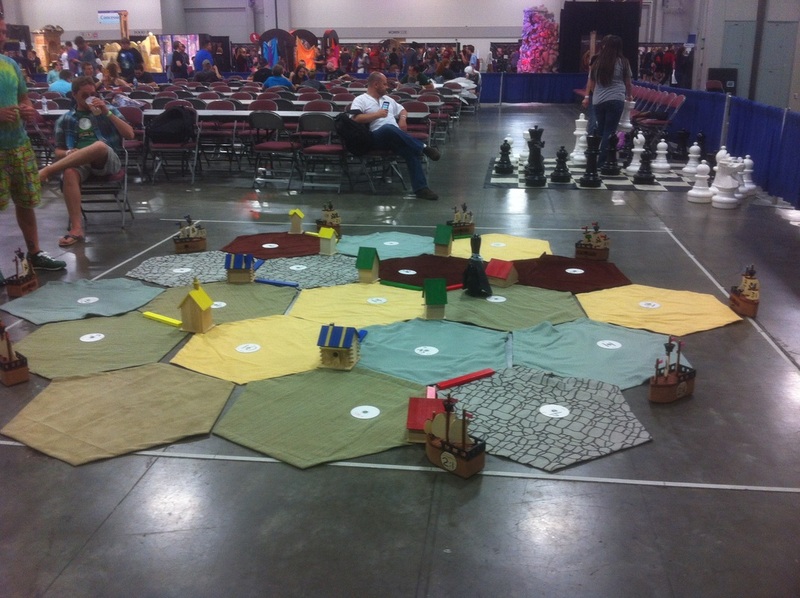 There was also gaming, authors and artists. 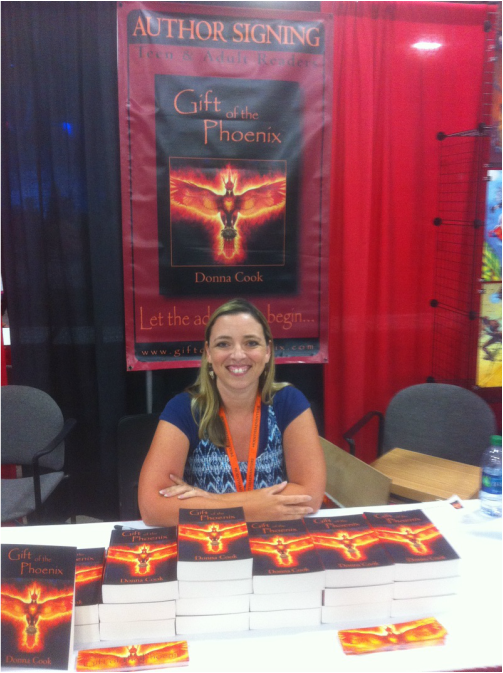 Author Donna Cook at Westercon. I loved all the photo ops they had there! 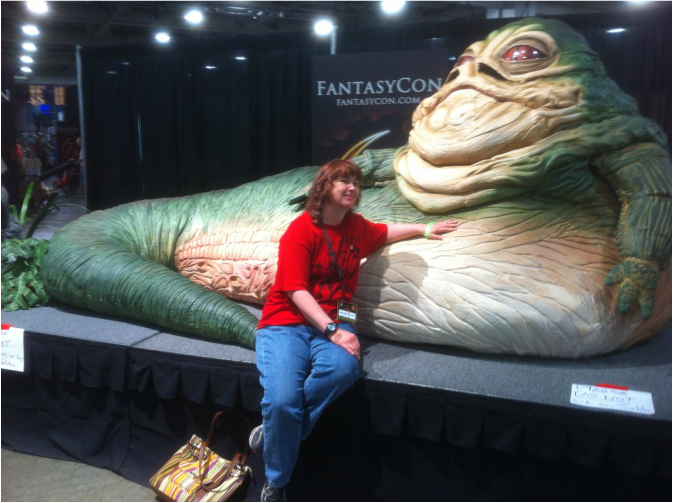 I would love to go to Fantasycon again! Check out my first published novel, The Gods of Garran. It's been a hundred years since the advanced race of Chanden had conquered the native planet of Garran. The Garran had no chance, with their bows and arrows against the starships that came. Many still resisted Chanden attempts to "civilize" them. 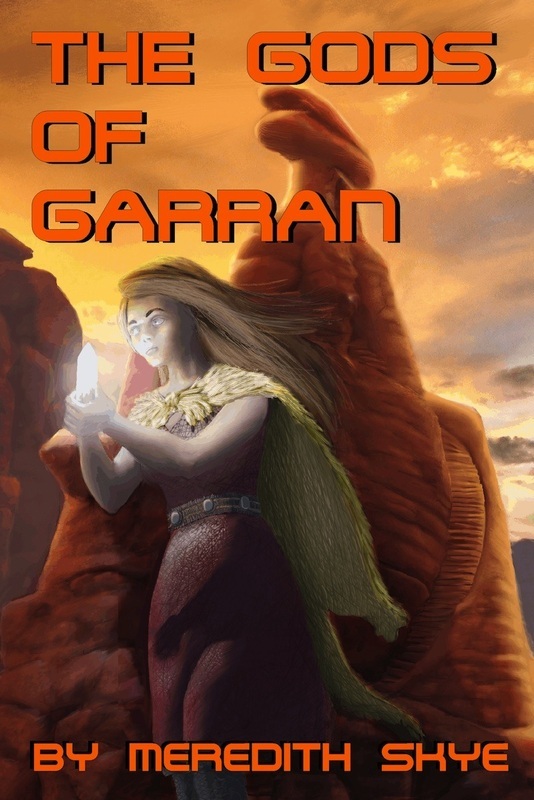 Once the gods of Garran had protected the planet, would they do it again? The natives seek the ancient godstones to reawaken the old gods and try to fight back against the alien invaders. For Kindle or paperback on Amazon. I'm Coming to Salt Lake City! 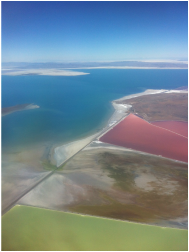 COMING TO UTAH FOR WESTERCON! 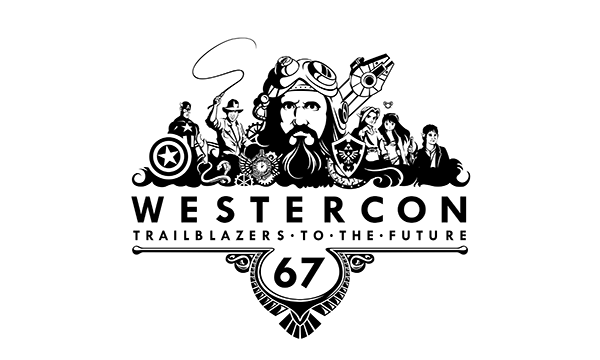 I will be in Salt Lake City, Utah, on July 3 through 6 attending the scifi convention Westercon! Westercon 67 will be held at the Marriott Hotel Downtown at City Creek at 75 South West Temple, Salt Lake City, Utah 84101. It’s next to the new City Creek shopping center and a short walk from dozens of dining and tourist sites. 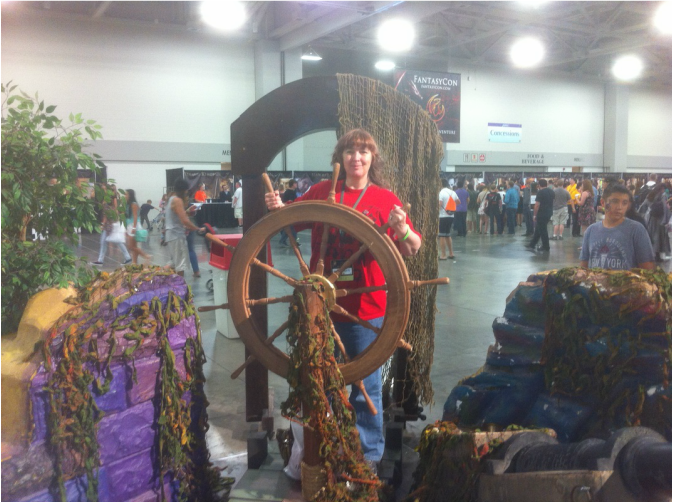 MEREDITH SKYE AT THE CON. On Thursday, I will have a reading at 1:00 PM in the Canyons Room. 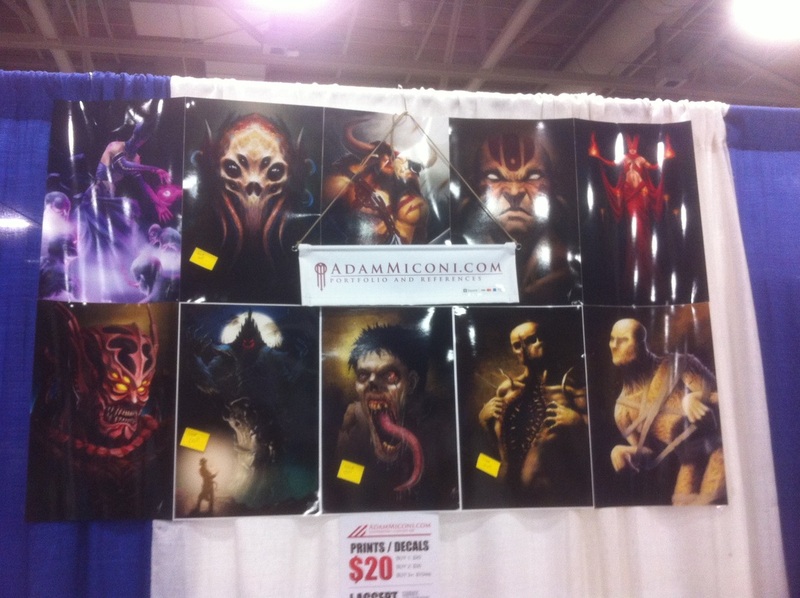 I will have a table for my book "The Gods of Garran" in the Dealer's room, and sometimes be sitting there. Larissa, who did the cover for me, will also be at the booth at times throughout the con. There will be a book signing on Saturday, July 5th, in Salon B, C, D, & E from 6:00 PM to 9:00 PM. 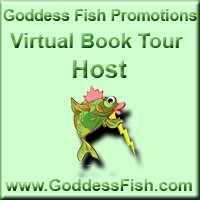 Come see me and get a copy of "The Gods of Garran!" Key words: Meredith Skye, Westercon 67, Salt Lake City, Utah, Scifi, science fiction, The Gods of Garran, SLC, UT, author, guest, Garran, book, ebook, Kindle.